You know when people talk about how hostels used to be? Back in the day? Grubby dorm rooms with lumpy mattresses, lukewarm showers and grey, communal bathrooms more like an army barracks than a hostel? Well, the award winning Villa Saint Exupery in Nice is 100,000 miles from that old school image. 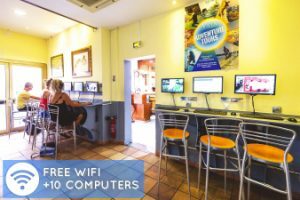 In fact, when people talk about hostels that are closer to being a hotel (but without the high cost) they could easily be talking about the unique and welcoming (and just a little bit swanky) Villa Saint Exupery. Located in the heart of the city, its five-star facilities include a a 24-hour gym, a sauna, free wifi, air con in all rooms, a kitchen, TV lounge and free tea and coffee. And, yes it’s a hostel – a hostel with a gym and a sauna that is. Add to the mix, the fact that the on-site bar is the cheapest in Nice (seriously, check out happy hour) and the parties are a great place to mingle and make new friends before hitting the Nice nightlife. Overall, we highly recommend checking out (or should that be checking in) with Villa Saint Exupery. Here, general manager of nine years, Jonathan Vanden Bussche, gives the deets on the Villa Saint Exupery. What accommodation do you offer? Private rooms and dorm rooms from one-14 beds. 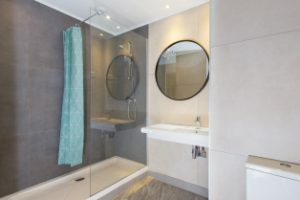 Every room is en-suite and all bathrooms are newly renovated in 2018. What additional facilities or services are on offer? We have a bar with happy hour from 6-8pm (1.5eur beers), a kitchen is available for guests to use and we also offer inexpensive and filling dinners, free sauna and gym, free ping pong table, free wifi, book exchange, keycard access, cameras in all common rooms, night security and a 24/7 reception. We are probably best known for our unbeatable activities for all seasons,including sailing, scuba diving, canyoning and a free walking tour. Place Massena, Nice Old Town, Fruit and flower Market, Promenade des Anglais, Monaco, Cannes and Matisse Museum. Tram 1 is just 50 metres away, there is a major bus stop 30 metres away and the train station 10 minute walk. What makes your hostel special/unique? We offer five-star hostel facilities, a welcoming environment and a unique experience. 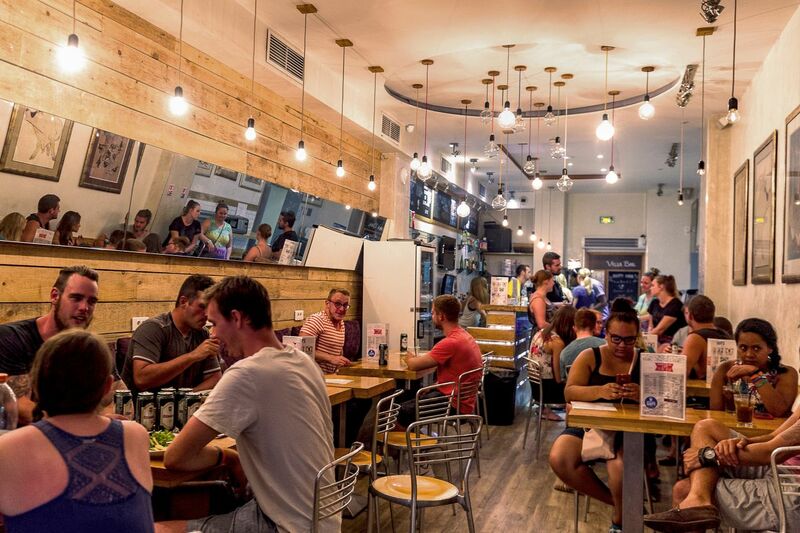 Social and stylish, Villa Saint Exupéry Beach Hostel is located in the heart of Nice – only 50 metres from the main square, the beachfront and the Old Town.